Mortgage Interest rates are at record lows, but is anyone buying? With mortgage rates at 4.5%, you would think homes sales would be through the roof. The last time we saw rates this low was back in 1950′s. I have been in real estate since 2002. During that great time in real estate my phone was ringing until 10 O’clock at night. This took place 7 days a week. Now my phone barely rings. What in the world is going on? Does anyone want to buy a home with rates this low? What is the difference now compared to then? There are many questions currently about our countries economic health. Typically when real estate picks up that is a sure sign of a recovery. Did all the government incentives really help? This economy is like a yo-yo. A comeback is on the horizon because home sales are up, and then all the sudden they are down. There are multiple factors causing this. The main issue is perception. Most potential home buyers are worried about their job. Others don’t have the credit score or money for money down payment. The restrictions with lenders are partly to blame. Back during 2002 a buyer only needed a 580 credit score and a pulse. Now with most banks you need between a 620 to 660 credit score along with down payment. 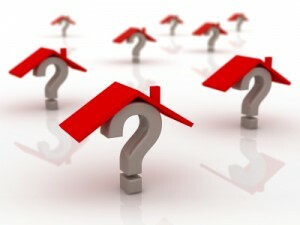 The loan type is determined by down payment and credit score. The most popular loan currently is FHA. This loan only requires 3.5% down and a credit score of 620 with most banks. I know the biggest factors are job loss, bad credit and uncertainty. Even though here in Texas our economy is better than most, 20 plus year veterans claim this is worst real estate market since the 80’s. It is really hard to buy a home if you just lost job your job or a home. I pull credit reports all the time and they are littered with collections and foreclosures because of job loss. Until job stability and credit restoration takes place, it will be tough for a recovery. I think we have another 4 to 5 years before we see a rebound. The country has been hit too hard for this to be a speedy process. During the meantime I promote better credit education. When you have money saved, job stability and healthy credit scores the sky is the limit. This entry was posted on Thursday, June 24th, 2010 at 1:31 pm	and is filed under Uncategorized. You can follow any responses to this entry through the RSS 2.0 feed. Both comments and pings are currently closed.